Nintendo’s previously delayed Direct games showcase has been greenlit to go ahead tomorrow night. The games giant confirmed the news on its website and social media. Scheduled to kick off at 11 pm BST, it is set to last approximately 35 minutes and will feature upcoming Nintendo 3DS and Nintendo Switch titles. 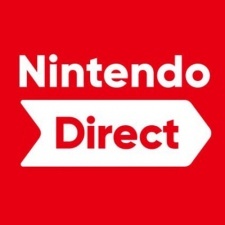 The Nintendo Direct had initially been pencilled in for September 6th but was delayed due to a powerful earthquake in Hokkaido, Japan. The quake had a magnitude of 6.7 and took the lives of several people, with more confirmed missing. The disaster followed on from a typhoon that had ravaged the west of Japan for several days prior. Called Jebi, it’s the strongest typhoon to hit the country in 25 years and has killed at least 10 people. Following the delay news also broke that Nintendo Switch Online cloud save services would not be enabled on all titles. According to Nintendo, it came down to the risk of cheaters and duplication bugs. While the vast majority of titles will support the feature, online games like Splatoon 2 will store player data locally.